Once you've identified employee advocates as a key component to your marketing strategy, how do you identify those advocates? How do you encourage them to socially advocate on behalf of your brand, and then measure their impact on your business? 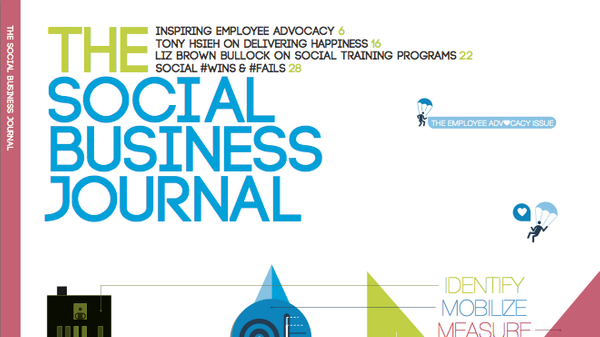 We touch on these topics and more, in the latest issue of the Social Business Journal. Tony Hsieh (Zappos) on "Delivering Happiness"
Lara Hendrickson and Brian Kotlyar (Dachis Group) on "How to Supercharge your Brand with Employee Advocacy"